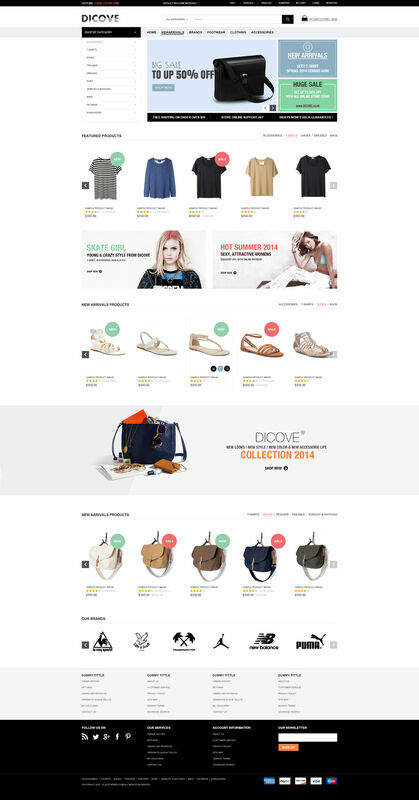 Which way to sell your fashion better, try Dicove Magento Theme! 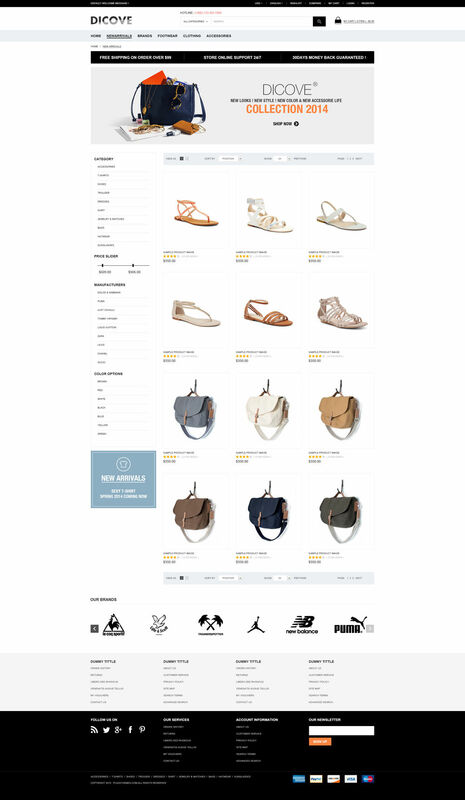 A neat, clean and nicely organized layout is the key for a fashion online store. 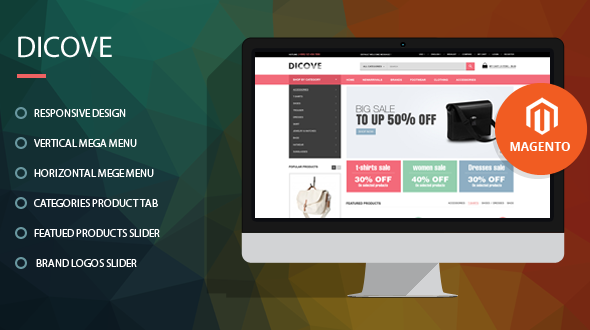 With using few modules but still set off features of your store, Discove theme will bring great experiences for you. Banner7 supports slideshow with simple, smooth effect. Vertical Mega Menu shows categories in vertical direction. 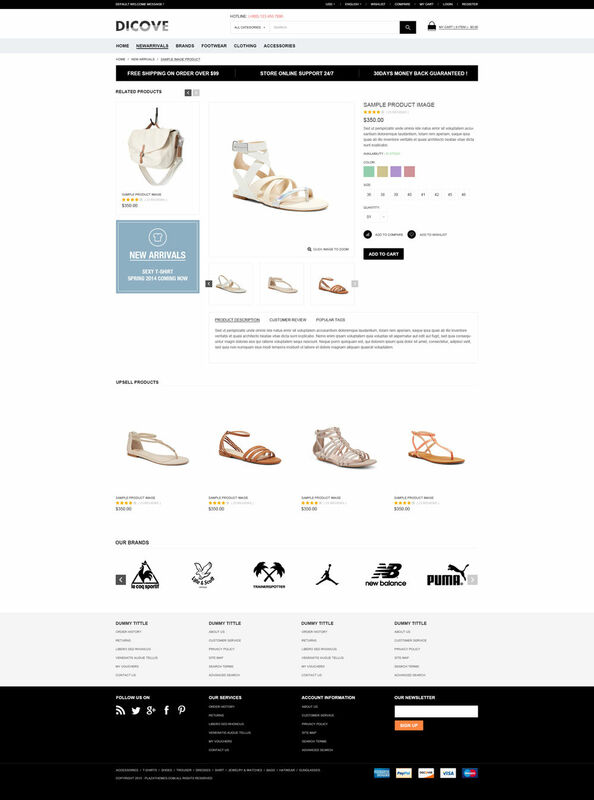 Mega Menu shows links to new products page, best selling page, cms links,…. Products of categories are displayed with slider in each tab. We uses 3 category tabs slider for 3 postions in home page. Static blocks alternate among Category Tabs Slider extension make this website nicer and brighter. Brand logos are shown beautifully with slider. Besides, we use other modules such as : Mostviewed Products Slider, Bestseller Products Slider, Layered Navigation Ajax, Ajax cartsuper, Related Slider, Upsell Slider,…. 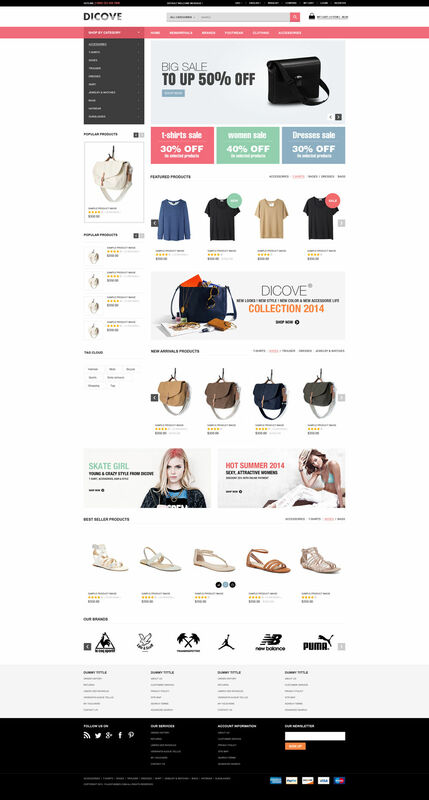 Learn more about Plazathemes fashion Dicove by experiencing demo!